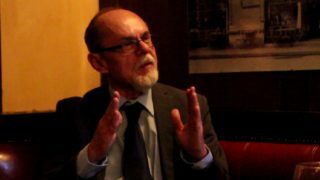 Hungary – Interview with András Schiffer: “the admission into the EU of Central Europe was a market acquisition by Western Europe”, by Ferenc Almássy. 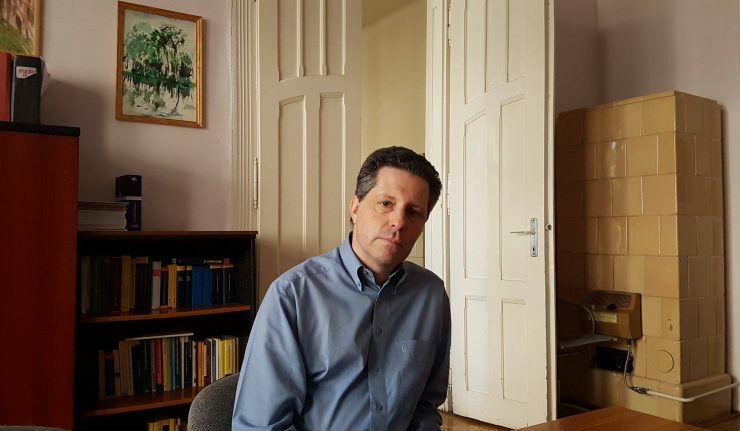 Ferenc Almássy made an interview for the Visegrád Post with András Schiffer, lawyer and Hungarian politician, former MP and former president of the left wing ecologist LMP party (Politics Can Be Different). 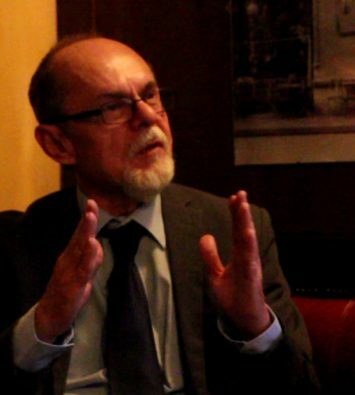 Ferenc Almássy: Thank you so much for accepting our invitation for this interview! 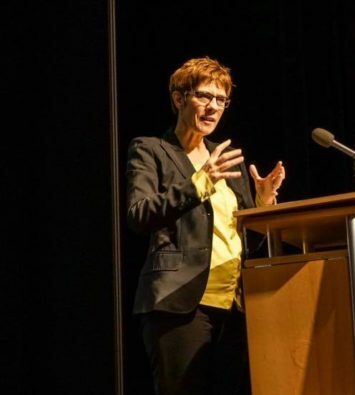 A Hungarian party called LMP was led by you for years, which is an ecological party, but about a half year ago you told Mandiner*, that you are not a liberal. If you are not a liberal, then you are an illiberal? András Schiffer: Let’s leave this crap! The political identities of the XXIst century can not be described with categories originated in XIXth century. That’s all! FA: But nowadays, the parties and movements which describe themselves as liberal – also economically liberal – seem to be stronger in the West as well. András Schiffer: It is not this way. There are the technocrats, who belong to the mainstream. The labels, which they are putting on themselves, are taken from the XIXth century, and it all depends on the given marketing. 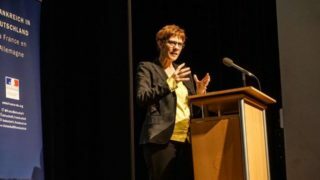 Populist parties and movements are getting stronger in Western-Europe, and in the same time, ecological, radical leftist and globalization-critical parties and movements are getting stronger in North-America and in Western-Europe as well. FA: What kind of relation can you see between the ecological and the so-called social liberalism? András Schiffer: I am sorry, I don’t know, what this means: social liberalism? FA: In English, “liberal” means the one who has a liberal value system. András Schiffer: This makes those cruel austerity polices used by neo-liberals more digestible. About all social liberal and human right liberal cliches I think that they are nothing more than cruel austerity policies painted pink, made more digestible. FA: What do you think about the words spoken by Viktor Orbán, together with Jaroslaw Kaczińsky, who is the president of Polish ruling Law and Justice party, that they want to start a kind of cultural counter-revolution now in Europe? András Schiffer: I have no idea what’s in the mind of the Prime Minister in such cases. You should ask him about this because his statements like this cover diffuse, conflicting visions. FA: Do you think that this is a kind of populism or demagogy from Orbán? András Schiffer: Both Fidesz and Law and Justice are populist parties. Populist parties are on an upward path now obviously, as the current system is in crisis. FA: V4 already existed 25 years ago, but it became really active during the last year. It was useful for the four countries to join the European Union, but after 2004, it was said by many that the V4 is futile. Then a year ago came the migrant crisis, and the Visegrád group really started again. This was mostly because of the work, or desire, of Orbán. How do you see the collaboration of the countries of the Visegrád Group? András Schiffer: On a long term, it is crucial for the Visegrád Four, for the Eastern Central European and Southern European countries, to be bound to each other. So in itself, I think it is a definitely good news if the collaboration between Visegrád countries gets tighter. It’s another question whether this cooperation shouldn’t be allowed to tire out with mere mood creation. It would be very important if these countries could show strength together, for example, against the Scandinavian countries and Germany, in economical questions, too. Quite simply, the logic which was in use during the enlargement of European Union will not decrease the differences between the core countries and the peripheral countries. 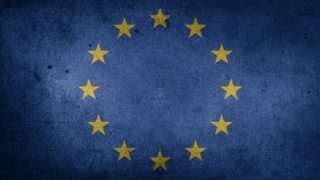 The logic, upon which the EU is working today, is based on the continuous exploitation of semi-peripheral countries, so for having changes in this an increased collaboration is certainly needed between V4 countries, and between V4 and Southern European countries. FA: In the current situation within the EU is it possible to gain enough weight against Germany, as you say, for the peripheral countries to get rid of a kind of western colonization? András Schiffer: We have no other chance than the cooperation between the countries sharing a common destiny. So this means not only the V4 countries, but Romania and Bulgaria too. This won’t be simple, obviously, because the major powers – not just now, it has a historical background here – often use Central and Eastern Europe, the so called buffer states, as a playground. FA: So you think then, that the V4 will into the right direction with its current strengthening, and from that point it will be able to fight its war of independence? András Schiffer: I am not an oracle. My problem is that this tight cooperation is currently limited to the handling of the migrant crisis while there are existing strategic goals too, which should be claimed by these Eastern Central European countries, but these are mentioned less often. As a similar example, it would be good if there were a common standing point about TTIP and CETA, that these Eastern Central European countries should announce a decisive “No” against these pacts. András Schiffer: I know that, but it wasn’t accidentally that I said major powers are using this region as a playground, discouraging Central and Eastern European collaboration. Both the Russian and the American influence and advocacy are so enormous in the territory that it makes the articulation of interests for the Central and Eastern European region very difficult. FA: You were talking about the USA. It may be heard, mostly in Russophile circles, that V4 is an organization supported by the US. What is your opinion on how the US looks at V4? András Schiffer: I think it quite unlikely that, for example, the politics presented by Fico or Orbán, were taken from an American screenplay, so those who talk this way oversimplify it, to say the least. I think American nerves are more irritated by, for example, the excessive Russian influence which can be perceived in the Czech Republic or in Slovakia. FA: And what about Hungary? András Schiffer: The story with Hungary is a bit more sophisticated. I think that the Hungarian Prime Minister rather thinks that it is he who influences the Russians. FA: Could there be any role for V4 in the acquittance of the Ukraine crisis? András Schiffer: I am not optimistic in this, and the V4 should not focus now on the Ukrainian crisis, but on strengthening their own advocacy within the EU. The Ukrainian crisis will be a typical story that will be played between the Americans, Russians, and Germans, since this three major powers were behind the opening of this bloody conflict, they ought to resolve it as well. 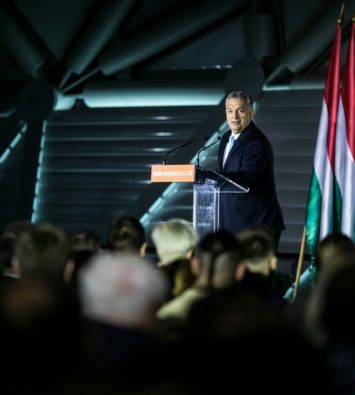 We have one interest there only as Hungarians, and it is to ensure the safety of Hungarians behind the borders, in the Subcarpathia, (Zakarpattya/Zakarpatye) and to support any of their efforts towards autonomy. FA: The Central European countries, the V4 countries, did not support Brexit, but after it was voted on by the British public, it seemed like it was something positive. How will it affect Central Europe? 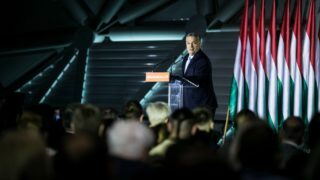 The opinion makers behind Orbán said, for example, that the United Kingdom is an ally in the fight for more self-determination within the EU. But now that they will exit, what are your expectations? Will it be a positive or negative thing for Central Europe from that point, that its weight may become stronger, although now it is still too weak to take this fight? András Schiffer: In the short term it is possible that there are some leaders in Eastern Europe for whom this seems positive, that the rate of participation can be increased this way, but in long term it will be a loss, not just for Eastern Central Europe, but for the whole EU, obviously, simply because the departure of a European major power will decrease the weight of all of Europe, and of the Eastern Central European region, and of Hungary, on the global stage. FA: Back to the question of migrant crisis, it seems like during recent years, the V4 successfully became a regional power. They’ve been leading operations in the Balkans. What do you think — is it possible that the V4 could become an engine for better cooperation with the Balkans? András Schiffer: I hope it will be this way, but it the various European politics cannot be sliced up. V4 can be an engine in strategic questions if it has a clear articulation of their interest, which, of course, covers the European common policies of energetics, but furthermore, the whole future of the EU. For example, if they will be able to articulate a common strategy in relation to a modification of basic treaties, which could forestall the two-speed Europe, forestall a Europe built on a free-market base. FA: So it seems like the EU did not have this as their plan from the beginning, and as you said, they admitted Eastern Europe in the end because the West were able to acquire a market this way. András Schiffer: This was a market acquisition. FA: But it seems that not many things changed. At least from the rates, we see that the salaries are not moving here, in Central Europe. What do you think, do France or Germany have any sincere will to change this? András Schiffer: It should be made clear that if Europe is built on the logic of free market which only increases the divides between West and East instead of bringing nearer the Eastern European countries to the West, it will lead to the falling apart of the EU, with all of its consequences, which will impact not only Eastern, but Western Europe as well. FA: When we see how things are in the West, and what major differences there are between the visions for societies between Western and Central Europe, could it really be a positive thing to become more similar to the West, to be nearer to their life ideals? András Schiffer: I can’t really expound on this now because every nation, every country follows their own life model. It was an entirely normal expectation in the Eastern European countries, for Hungarians as well, that their standards of living should be near the one of Austrians within a foreseeable time span, and about this, it turned out, that it’s an illusion, a lie, practically, from the side of the regime-changing elite. FA: This is exactly the point I’m trying to make: How is it possible for this to happen within the frame of the EU? András Schiffer: There is a possibility for this in socially-altered Europe. For as long as the EU moves in this free market logic, where the core countries, or the major corporations of core countries, look at the peripheral countries as though they are only markets – obviously within this model there is no possibility for converging. 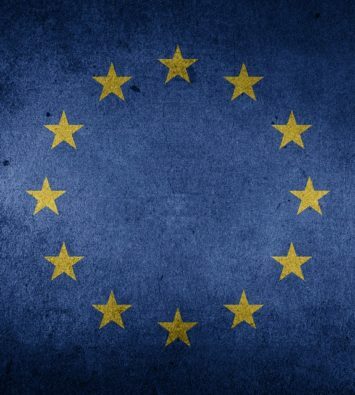 If we drop this model, and we start to think of an eco-social Europe, of a Europe of men, then, of course, there will be a possibility for these countries to spend more money on education, for example, and increase the life standards towards the level of Western Europe. FA: What would be then the role of the V4 to chase Europe into this direction? András Schiffer: To formulate a clear articulation of their interests, which is not limited roughly to handling of the migrant crisis, not limited to momentary popularity chasing by actual governing parties, but reveals clearly the interests of Eastern-Central European countries. It should be able to cooperate with the Southern European countries, and have a world concept that imagines a Europe of men instead of a Europe of capital. This would be in the interest of the whole region. Translated from Hungarian to English by Nagyatádi Horváth Tamás and “Kitteninsurface”. The end of the “migrant quotas”?